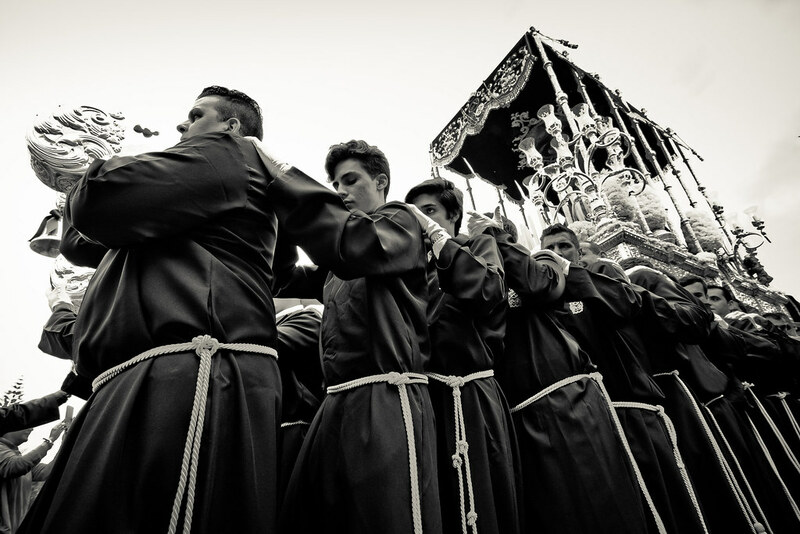 Holy Week (the week before Easter) is the the biggest religious celebration in Spain, and Andalucians know how to celebrate in an impressive way. In the south, semana santa means time off from work, eating, drinking and lots, and lots of elaborate processions. No matter what your religious persuasion, it's sure to be an incredible experience. Celebrations have a different character in each city - those in Seville and Malaga are celebratory in mood, while the parades in Granada tend to be more solemn in tone. Do some research to decide what kind of vibe you're looking for. In any case, the cities are only a few hours apart by train. The key highlights are the nightly processions that take place in the region’s large cities. Hundreds of penitents in coloured tunics, representing different Catholic sects, haul ornately-decorated pasos (floats) and tronos (thrones) through the streets. These floats depict the Passion of Christ and can weigh up to a couple of tons. They are slow-marched along fixed routes into the wee hours, flanked by marching bands and massive crowds. Bring a water-proof jacket - capricious spring showers might slow the proceedings, but they shouldn’t dampen your spirits!